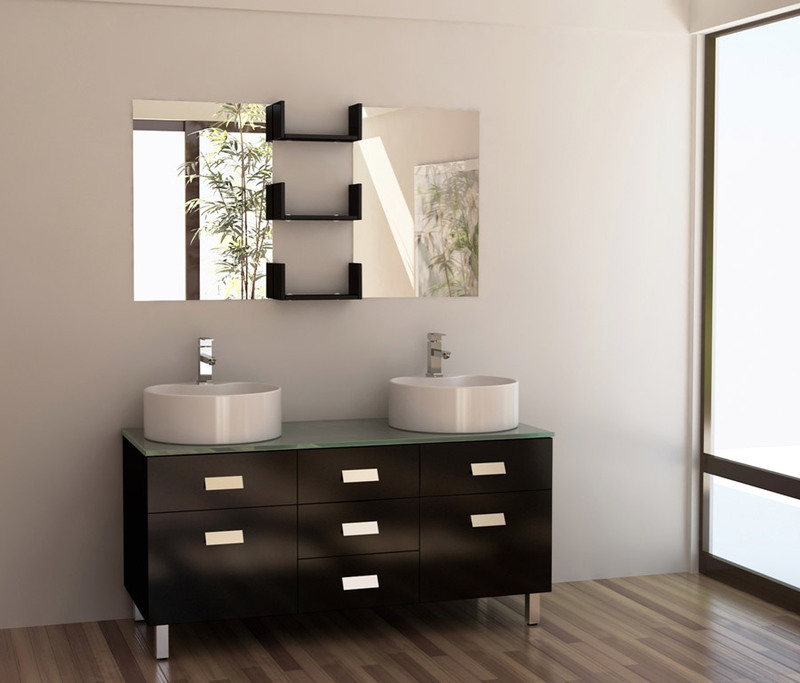 The Wellington Double Vanity is the perfect addition to a modern bathroom with its minimalists cabinet surfaces, clean lines and simple geometry. Quality was not sacrificed for style, as evident by its solid hardwood construction that prevents warping or cracking over its lifetime. Two sparkling white vessel sinks crown the vanity atop a green glass counter top for a stylish departure from tradition. A mirror with shelves is included with the vanity, expanding your storage options beyond the three center drawers and two cabinets.